We had a dilemma! Gosia and I were planning to spend New Year in the 4000 Islands in the far south of Laos, but the question was, should we break our journey and go and see the Champasak shadow puppets? Champasak sounded like a tiny one street town (it was), with few guesthouses (true) and not many tourist attractions (correct), so should we press the pause button for a few days or continue to Laos? We flipped a coin and it came up as a yes. Since I started travelling I have allowed myself to trust in fate more and more and as a result my self-confidence has been growing – to such an extent that I now coach others. As the bus driver pulled up alongside a deserted beach on the banks of the river Mekong and dumped us out onto the sand we began to wonder about trusting our luck to a toss of a coin when there was no visible means of a crossing in sight. After a thirty minute wait, some floating planks (a ferry) eventually approached and we were taken across to Champasak. 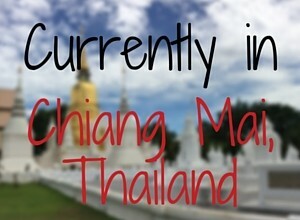 It’s stretching it a bit to call Champasak a town as it is just a couple of streets. They are however very long and lined with little ‘shops’ which all sell the same noodles, crisps and sweets and drinks with not a lot else. The budget accommodation mostly consists of various little wooden cabins. They are usually grouped around leafy gardens and with dining areas suspended over the Mekong on wooden decks. Most offer breakfast or lunch time snack and nearly all are quiet, calm and peaceful. There are a few choices of small places to eat and just at the edge of the village is a neat place – the Nakorn cafe and restaurant – where you can get really decent coffee and food and is run by a Belgium man called Jacques and his wife. The Champasak shadow puppet theatre was the main reason that Gosia and I had wanted to stop in this tiny town and we were certainly not disappointed. Drinking coffee and Thai iced milk tea in the Nakorn coffee shop we met Yves Bernard, the director and the man who had brought the old puppets and the theatre back to life through his project the Theatre de Ombres de Champasak ATOC. The theatre had ‘disappeared’ in 1975 but six years ago the puppets were discovered in the back of an old temple. Yves who is originally from France came to stay and helped the local people to dust off their puppets, get out their instruments and revitalise this ancient art. You have a choice of two shows – depending on the day of the week that you are in town. We paid our small entrance fee and we went in to watch the tale of Phralak-Phralam. As we chose our places on the colourful raffia mats and the floor cushions one of those big fat, blood red full moons rose alongside us above the river Mekong, the crickets chirruped and the sky was dusted with brilliant stars. The ‘theatre’ was outdoors under a canopy of trees where the scents of night jasmine and frangipani mingled with the sweet smell of sandalwood from the village cooking fires. Local children had free access to all of the shows and a small group of them shoved and giggled on the benches at the side of the little arena while the small audience of just 24 settled down and got comfortable. The troupe of 13 musicians joined us and sat together cross legged, smoking and laughing while they tuned up their traditional instruments. Yves Bernard stood and outlined the storyline to us in his native French and halting English. I got a little bit confused and once the play started I got hopelessly lost but it didn’t matter: it was magical! The music the puppets, the narration in Lao, the stunning setting – it all combined into one of those truly never-to-be-fogotten experiences. Yet it was all so simple. A sheet strung between some trees and a few spotlights; actors working their puppets on sticks; the musicians who were having a fine old time and a chilled audience sprawling on the floor. We could have been any group of people from any time in the previous two hundred years spending a summer evening together. After the show Yves explained how the musicians were all local men who got on with their normal lives during the day time. Allegedly, the best musician in the South of Laos is a blind man and he plays in this orchestra. Another of the men regularily rises at 4am to take 40 ducks on the back of his motorbike to sell in Pakse market, the director of the project works at the temple and one man is a hairdresser operating out of his garage. These were physically tough men – hard and wiry with muscles from a life time of hard work and with skin and teeth which glittered under the full moon. They played the most intricate and traditional Laotian instruments and together they transported us to another realm for the duration of the show. If you have read some of my other articles about Laos, you will remember that I have told you about the author Colin Cotterill. One of his books – Thirty Three Teeth – includes a story-line about superstitions in Laos (well most of his books do because the Lao tend to be superstitious people). Colin’s books are well worth a read and are written with beatifully descriptive language and humour and as a bonus the royalties from his sales are distributed to good causes within Laos. To accompany this series of articles on Laos, I have published a comprehensive 28 page travel itinerary of my month-long route around Laos. Simply enter your details in the box below to get your free guide. The day following the Champasak shadow puppets, Gosia and I hired bicycles and foolishly headed off under the mid-day sun. We cycled along the road for about an hour, passing clusters of the cutest Laotian cows and we were overtaken by farmers driving their strange two wheeled tractors known as Iron Buffalos or Tak-taks while people worked in the paddy fields, farming by hand or with buffalo. We were yet to visit Siem Reap but this temple in Laos which was built between the 7th and 12th century is an offshoot of that ancient Khmer complex. Pronounced ‘wat poo’ this temple is built into the side of a sacred mountain and is accessed by a scramble of steep, stone, lichen covered steps. At the base of the mountain are two large reservoirs of water and everywhere there are large stones and columns from collapsed buildings. Wandering around the remaining standing buildings in the silence that accompanies the hottest part of the day I could feel the energy crackling around me and I could fully understand why the Khmer chose to build their temple here. Hauling ourselves up this stairway to heaven we passed under a corridor of fragrant frangipani trees. The view across the plain below was uninterrupted rural-ness and an aura of peace and serenity bathed this spiritual place. You could feel the energy seeping into your body and mind. We wandered among the large boulders which crowded the land at the back of the shrine and we found the rock believed to have been a sacrificial altar. There were also rocks carved with crocodiles and other creatures. We sat quietly and looked down over the plain and we saw how the holy water ran around and through the shrines to Buddha, cleansing and purifying as it flowed. This temple complex is yet another reason why you shouldn’t by-pass this tiny town. We extended our stay in our little wooden cabin (shed) for a further night and taking to our bicycles we followed the river. We rode through small indigenous communities where life is still lived almost exactly as it has been lived for years. Dilapidated wooden houses on crooked stilts cluster around the river edge, and whole families hung and swung in their hammocks in the shade or dozed on the cots (bamboo platforms) which were outside every home. Smoke lazily rose from the charcoal and wood cooking fires and little children shouted ‘hello’ and ‘goodbye’ to us as we passed. Dodging chickens and sleeping dogs we pedalled along the overgrown path by the river until we came to a couple of grand houses. These were once the summer palaces of the King of Champasak but they had long since been abandoned. Monks had adopted the grounds and some of the buildings into one of their temples, but the grand facades are slowly decaying and crumbling as nature claims them back for her own. Despite wandering miles from anywhere among the jungle paths and small hamlets of inquisitive people we never felt unsafe or worried. The Lao are a beautiful gentle people. STAY A WHILE IN CHAMPASAK. Allow her to weave her magic around you too. What interests you? What would you like to learn more about? 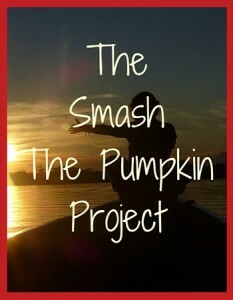 The Smash the Pumpkin Project shows you how you can explore new things and integrate them into your life. You will engage with a series of personal challenges that will guide you to more self-confidence and self esteem while you follow your dreams and passions. If theatre or performance lights your fire, shadow puppets are an amazing art form to explore. You don’t need to go all the way to Laos – but who knows. Why not!